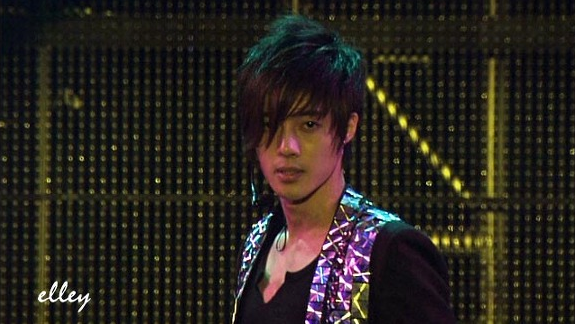 During the 1st Asia Tour, SS501 performed in 6 countries all in all. And out of these 6, Hyun Joong did the JitJoong in 5 of them (with the exception of Thailand, which up 'till now still leaves me feeling disappointed). But of all the 5 Jitjoongs, I still think the very 1st one was the best. Why, you ask? Well, I guess the very first time seeing it, it sort of creates this huge impact that's really hard to forget. I remember that time the only thing available were fancams, which are short video clips that are not clear and super shaky (of course, who can blame the fans, seeing JitJoong in person can really cause massive heart attacks, hehe). 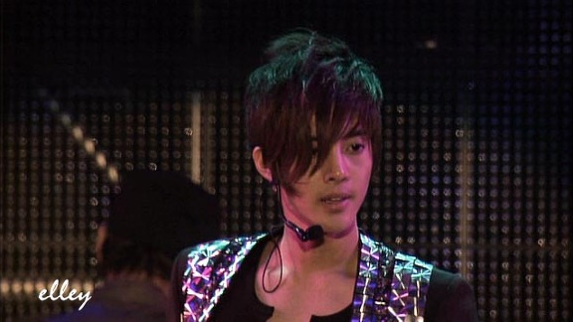 At last, here's a clear copy video taken from Seoul Persona DVD, of the whole 8 minutes of Hyun Joong's "Please Be Nice To Me" performance. Feast your eyes on Leader's HOTNESS!